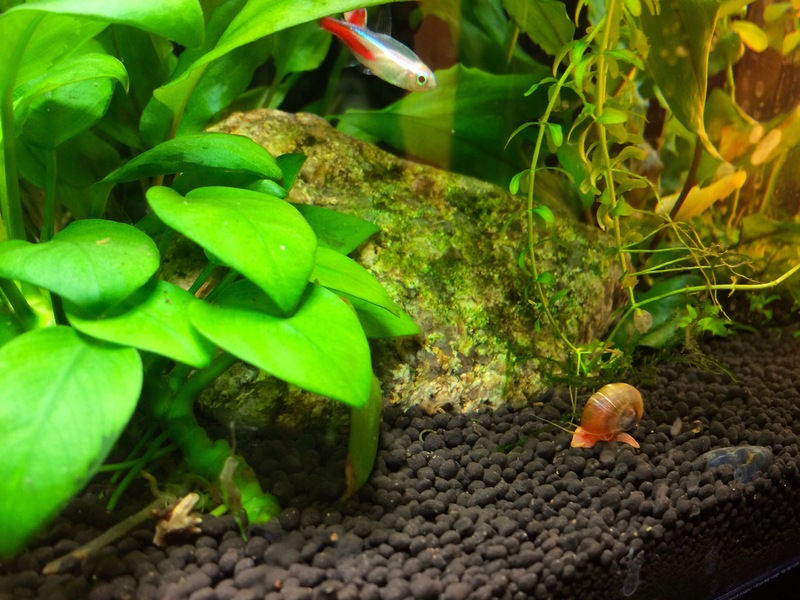 A neon tetra watches a small red ramshorn snail as it inspects the gravel in this freshwater planted nano tank. Depending on the type of aquarium being kept, people will either consider these tiny snails pests or pets. Personally, I believe when kept under control, they are a great clean up crew – eating algae, decaying plant matter, and more. You can learn more about these little red ramshorn snails at Aquarium Care Basics.